The Richmond Planning Commission had a recent update to a property in Church Hill North! 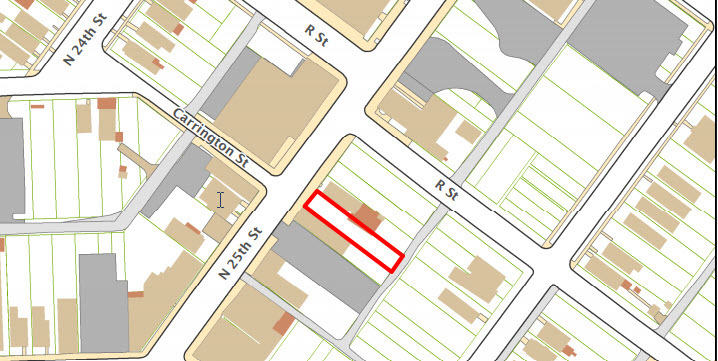 To authorize the special use of the property known as 1121 North 25th Street for the purpose of a building with commercial uses on the first floor, up to two dwelling units on the second floor, and no fewer than two on-site parking spaces, upon certain terms and conditions. Developer Garrett Augustine is proposing to build a mixed use commercial building with the special permission to provide 3 off-street parking spaces due to the size of the lots. There’s currently no tenant lined up for the commercial space, but the hope is retail, restaurant or office space. This area of Church Hill is experiencing growth with the upcoming East End Grocery store and the Sargeant Reynolds Culinary Arts School. The project was met with the approval of the Church Hill Central Civic Association and the ordinance was recommended for approval to the City Council. Curious about the new Reynolds Culinary institute coming to 25th and Nine Mile? Looks like a great building. Fits the neighborhood well. Looks like a quality building. Nice building! Looking forward to seeing this get built! I hope to have this project started in the next few months and finished by year’s end. If anyone is interested in the commercial space please let me know. Looks great. Exciting energy! !I will keep this in mind for commercial space Garrett.